The US and the UK are just as determined as ever to remove Bashar Assad from power, but are unlikely to go for a full-scale military intervention – at least for now. This was the gist of the message from US President Barack Obama and British Prime Minister David Cameron as they stood side-by-side before the White House press corps. 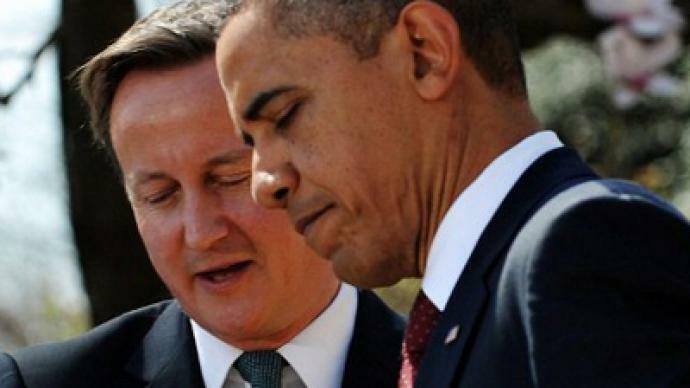 The UK Prime Minister stated that he did not want to “foment revolution” in Syria. Obama echoed his words, fretting about a possible “civil war.” The President also said that the case for military intervention was not as clear-cut as during the Libyan uprising last year, and that it would be more difficult to get the international community to back intervention. Thousands of people have already died in the year-long conflict between the government and rebels demanding an end to the Assad family’s 40 year rule of Syria. But despite renouncing the use of force for the moment, the two leaders are still clear about their desired outcome to the conflict. "Assad will leave power, it's not a question of if, but when," Obama said. Despite constant volatility in Afghanistan, Obama and Cameron said there would be no changes to the plan to pull out of the country by 2014. The move comes at a time when Afghanistan is roaring over the recent burnings of Korans at a US base.Their outrage was further inflamed by an alleged US soldier shooting rampage which left 16 Afghan civilians dead. 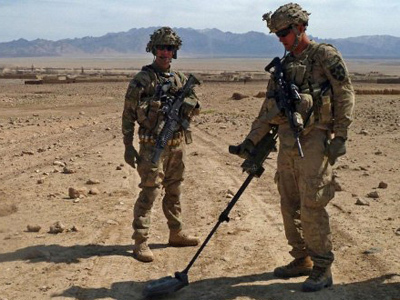 NATO troops have been in Afghanistan since 2001, following the September 11 attacks when the US declared war on terror. Despite boasting about improved security for the world and the country’s own citizens after more than a decade, Cameron admitted that "We won't build a perfect Afghanistan". Jim Lobe, a journalist at the Inter Press Service news agency, believes President Obama has been trying to depict the war in Afghanistan as the “good war,” as opposed to the “not-so-good” Iraq war. Journalist and activist Sukant Chandan believes one issue Obama and Cameron are discussing is the terms under which Afghanistan could be handed back to the Taliban. “What they want from the Taliban is assurances – and I’m sure the hard bargaining is this: that the Taliban stay, basically, hostile to all their neighbors in the region,” he told RT in an interview. “The last thing the West wants is any kind of functioning government and national infrastructure in Afghanistan. They want Afghanistan to stay hostile to China, and especially to Iran,” he said. The talks couldn’t help but focus on a nuclear standoff in Iran, with many expecting Israel and the USA to initiate military action against Tehran. The US President said “the window for solving this issue diplomatically is shrinking”. Obama also added he is “determined to prevent” Iran from getting nuclear weapons. The warning comes as the United States, Britain, France, Germany, Russia and China plan another round of talks with Iran to help kick start negotiations with Tehran over its disputed nuclear program. While Western countries demand that Iran gives up its nuclear program over its potential military applications, Tehran insists it has the right to enrich uranium for peaceful purposes. 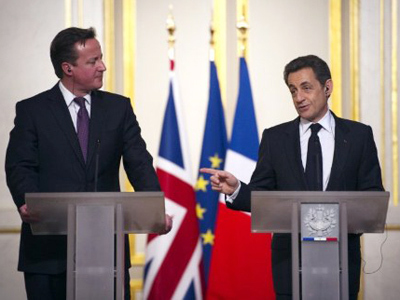 Friendly advice: France, UK to command ousting of Assad? 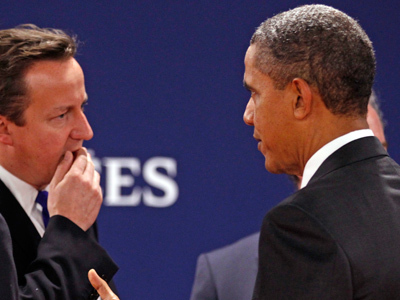 Obama and Cameron: The good, the bad or the ugly?